IIIT Basara Faculty Recruitment 2018: RGUKT-Basar invites applications in the prescribed format from qualified candidates for filling up the following guest faculty and lab staff positions on purely temporary basis. 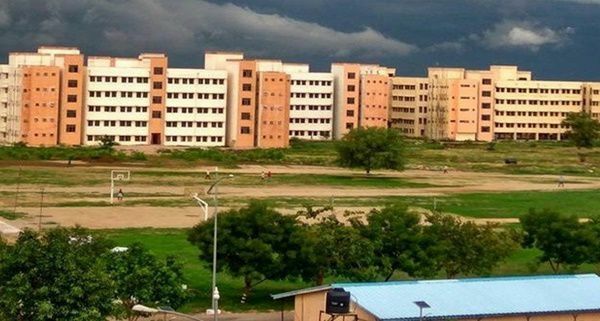 Applications are invited in the prescribed format for Guest faculty and Lab staff on hourly basis in different disciplines (Engineering, Sciences, Management and Languages) of the Rajiv Gandhi University of Knowledge Technologies, Basar. The posts are purely temporary and can be terminated without any prior intimation. M.Tech/M.E and B.Tech/B.E in relevant discipline and first class or equivalent either at Master’s level or UG level. Mathematics, Physics, English, Management and Telugu. • Non-Engineering: 55% marks (or an equivalent grade in a point scale wherever grading system is followed) at Master’s level in the respective discipline (50% for SCs, STs and PH) with NET/SLET/SET or Ph.D.
• Management: First Class or equivalent in Masters Degree in Business Administration or equivalent and 2 years relevant Experience is desirable. 1 Guest Faculty Essential: SSC, Inter/Diploma, UG, PG, Phd*, NET/SET/SLET*, Experience certificate and any other as required. * indicates if applicable for the applied position. Desirable: UG, Experience certificate and any other as required. Desirable: Inter/Diploma, Experience certificate and any other as required. b) The appointments are purely on temporary basis and can be terminated without any prior intimation and do not carry any experience. i) Guest Faculty – Written test and interview or written test/interview. 1) Candidates with higher qualification will be preferred. 2) University reserves the right to fill or not to fill any or all the positions. For more details visit our website www.rgukt.ac.in.